Four young men take on a 3000 mile adventure on adopted mustangs to discover the beauty of the wilderness. $125. That’s how much a mustang, an American wild horse, costs. It’s dirt cheap, a small token for an animal that the US government no longer knows what to do with. Nowadays there are far too many mustangs living on the plains of North America. Herds of cattle and wild horses compete for grazing pasture and, because wild horses aren’t profitable, they get the short end of the stick. To get the population under control, the government captures thousands of mustangs each year and keeps them in large, makeshift paddocks. 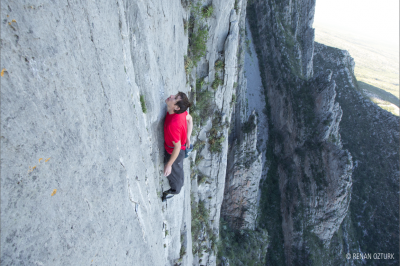 Young American native Ben Masters didn’t want to just sit back and watch this happen, so he decided to do something. 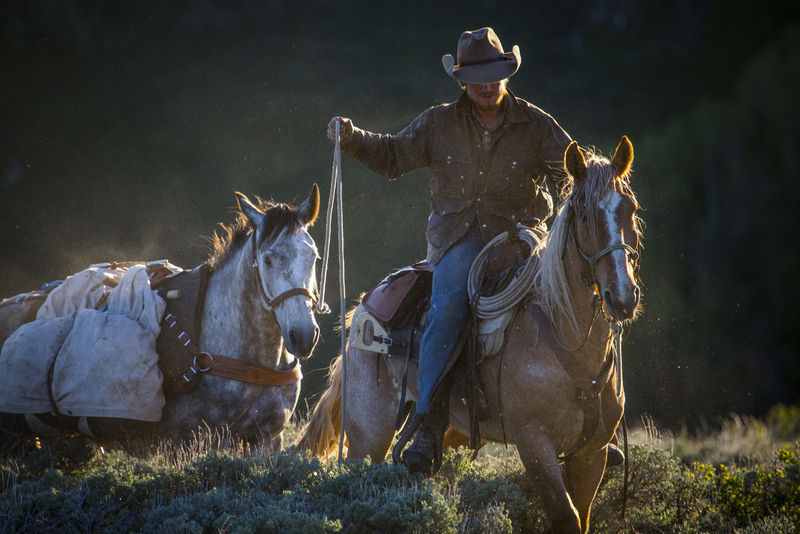 UNBRANDED is his story. 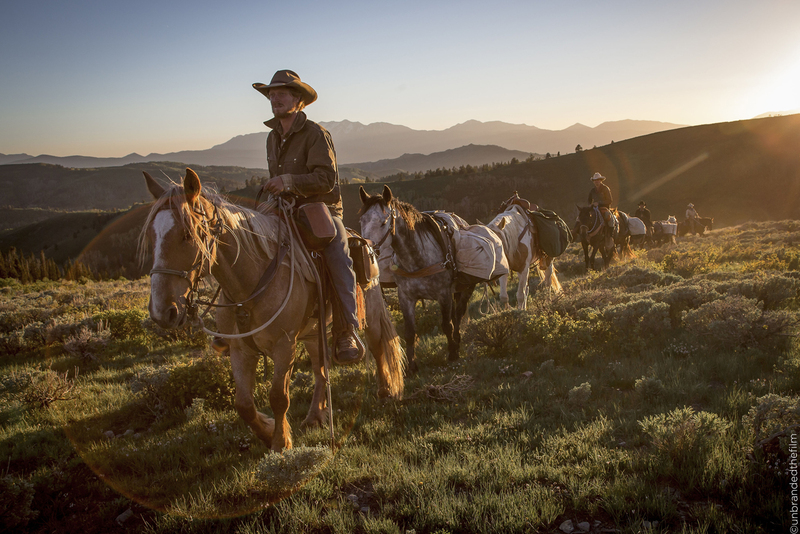 Together with three friends who are also experienced riders, Ben adopted eleven mustangs from the government paddocks and got ready to take off on horseback across the US, a 3,000-mile adventure through the American West from Mexico to Canada. The trip starts well before the first few miles through the scorching heat of the Arizona desert, with cheap tequila and greasy enchiladas. The dream was born in a loud, crowded bar in Texas of all places—a dream of wide, open spaces, solitude and real adventure. After graduating from Texas A&M University, the four buddies Ben Thamer, Jonny Fitzsimons, Tom Glover and Ben Masters aren’t quite ready to settle down. “I know what my parents want. I should get a job and everything, but I keep looking over at Ben Masters and think, to be honest, I want to do what he’s doing,” says Ben Thamer, who doesn’t have much experience but is the only (half-way) decent cook on the team. 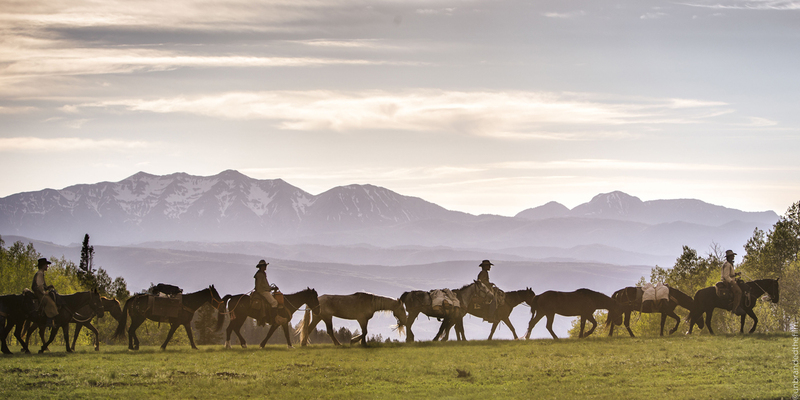 Five states and 3000 miles— this is the route of UNBRANDED and the road to raw adventure for four young horsemen and sixteen mustangs. 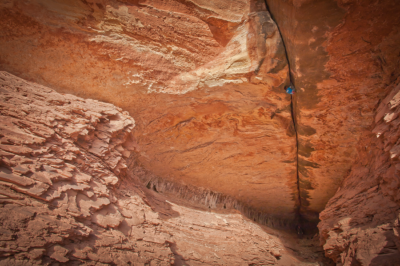 The first state on their route, Arizona, turns out to be the hardest for the trans-American adventurers. Unrelenting heat during the day and frosty nights, treacherous patches of cactus and very little available water and grazing pasture make for a difficult start. Only with the help of Val Geissler, their fatherly mentor, are the four boys able to survive the first six weeks on the trail. And with each mile in the saddle they learn that maps are not a true representation of reality. Just because a path is marked on the map doesn’t actually mean that it exists, and, wild horses that have been broken are still wild horses. The herd likes to take off during the night and has to be slowly rounded up again in the morning. But the mustangs’ wild heart has its plus side as well. 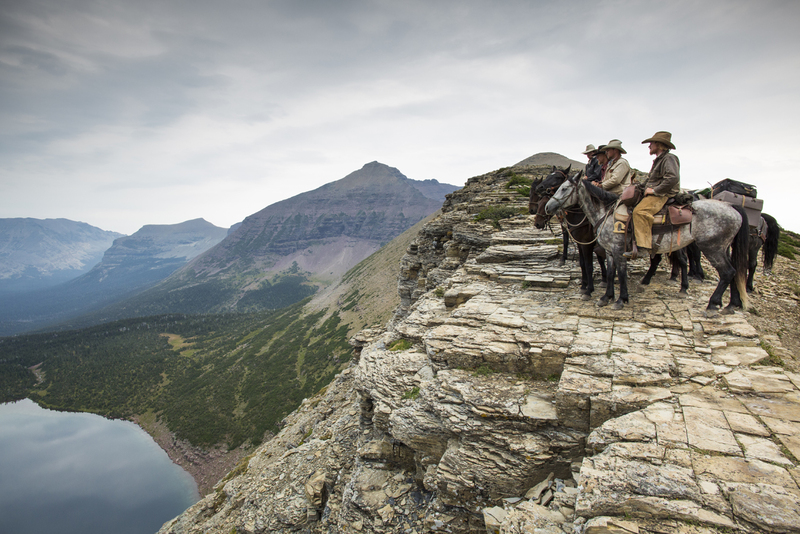 When the only path to the next water source is up a steep cliff, the horses prove they are fearless and have endurance. On the way to Canada, the team encounters deep snowdrifts, marshy river deltas, steep canyons and rushing rivers. 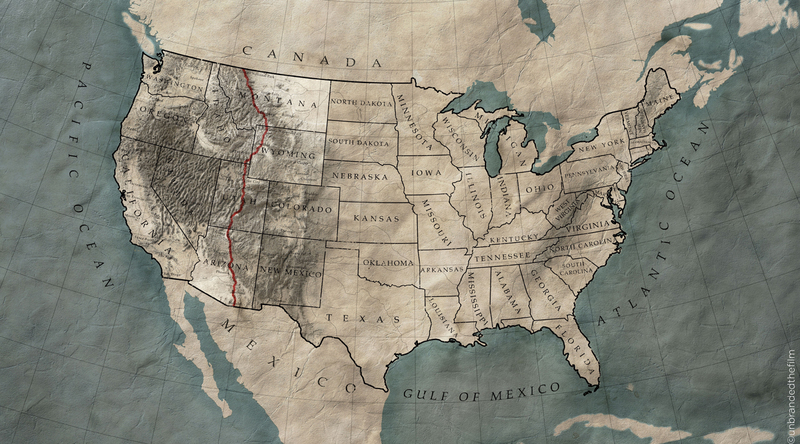 In Wyoming they cross through Yellowstone National Park and experience wild America in its original state. On the way north, horses and riders find the place that is threatening to become extinct for both. The wilder the land becomes, the less it has been touched by humans and the steeper the terrain, the less it has been taken over by civilization. The trip is arduous but the team grows stronger with each obstacle that it has to overcome. But there’s still friction. Every herd has a leader which emerges after a few power struggles. The horses seem to settle this issue much faster than the riders. 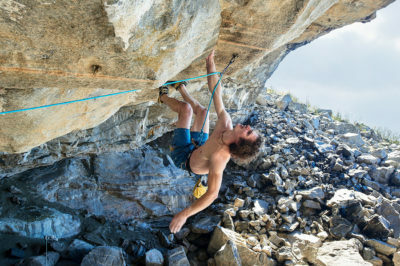 Ben Masters and Jonny Fitzsimmons keep quarreling about decisions like which route to take. Even though Ben Masters is the leader of the adventure, his stubbornness, which was essential when it came to planning and financing the project, puts the patience of his companions to the test on the trail. “We’ve reached a point where this adventure has become a test of how much we can put up with,” Ben Thamer concludes after 2,500 miles of not batting an eyelid. The last five months have left their mark and the confrontation happens just as they are nearing their goal. One mile before the Canadian border, Jonny decides to leave the team and not finish the trip. “It’s better to leave some things unfinished,” is all he says. After a journey of five months and six days Ben Masters, Ben Thamer and Tom Glover cross the Canadian border with a cloud hanging over them. 3,000 miles older, 3,000 miles wiser and 3,000 miles richer in experience, growth and discovery. At the end of their journey, they know one thing for sure and it’s right in front of their eyes, blowing, strong and full of life: A mustang is worth way more than $125.